Watering your garden can seem like an endless chore during the summer and the sticker shock when you get the water bill doesn't make this task any more pleasurable. Over the past few years, soaker hoses and drip irrigation systems have become popular as they deliver water to plants more efficiently than sprinklers do and as a result, they will use less water over a growing season which helps with a gardener’s water bill. While the term soaker hose and drip irrigation system are often used interchangeably because they serve a similar purpose there are things that differentiate one from the other. A soaker hose is usually made of rubber and looks like a typical garden hose but it has small holes that allow water to be released into the ground next to plants. A drip irrigation system is often made of plastic tubing and it releases water at specific intervals which allows the water to be delivered with more precision than a soaker hose. Installing a soaker hose is relatively easy to do. I recommend that you leave them in the sun for a little while before you install them to make them more flexible and easy to work with. You simply put the hose in place, where you want the water to be delivered. I cut metal clothes hangers into 8 to 12-inch pieces and then bend them over so that the ends meet creating a half oval shape. You can place them over the hose and drive the ends into the ground to anchor the hose in place. This isn’t a requirement but I have found this to be the best way to ensure the hose doesn't shift while you are installing it. Once you install it you simply connect it to your water source and it is ready to go. 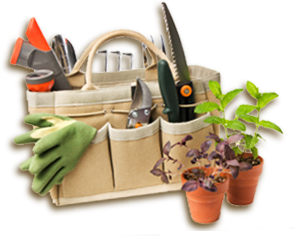 You can also leave it installed over the winter if you choose to do so although bringing it in the garage or shed for the winter will make it last longer. A drip irrigation system is a little bit more complex installation project. Since this type of system is designed to deliver water in a more accurate manner it is important to plan out where you will place the plastic tubing to be sure it waters the plants you want and doesn't water areas that don’t need to be watered. This can often mean that you have to cut the tubing to fit the design and then connect the cut pieces to other parts of the system. 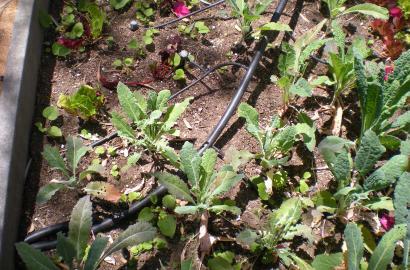 Drip irrigation systems are more expensive given all of the hardware involved in their installation in comparison to a soaker hose which can even be made by recycling an old garden hose. Regardless of which system you decide to install the benefits of using either of these systems make it a worthwhile investment. They use a lot less water, nearly 70% less than a typical sprinkler system. This means that the water is not wasted and goes directly to the soil where it is needed. Since both of these systems water the roots and not the leaves they significantly decrease the potential for diseases. 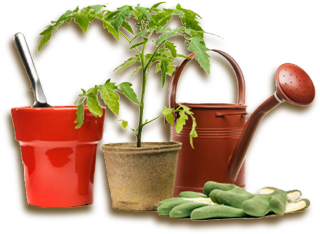 So don’t let your plants die of thirst…install a soaker hose or drip irrigation system instead.